Prime Minister Scott Morrison has shocked many of his 98,000 followers by posting a hip hop video on social media overnight. 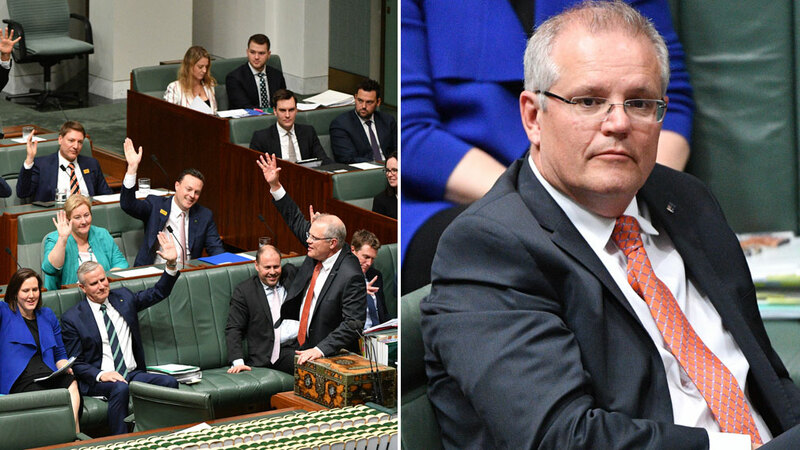 Mr Morrison tweeted an 11-second clip from Question Time showing Coalition MPs raising their hands in unison, strangely edited to accompany the 2006 hip hop song Be Faithful by Fatman Scoop. He captioned the video "QT was on fire today … Good work, team" and included a fire emoji. However, it didn&apos;t take long before some people started pointing out other less innocent lyrics from that song, including explicit references and swearing. Mr Morrison&apos;s post garnered some 170,000 views with many users unable to believe what the PM had done. The blunder came as the Liberal Party met in Sydney for the pre-selection of Malcolm Turnbull’s replacement in the seat of Wentworth. Mr Morrison&apos;s choice for the Wentworth candidate was roundly rejected and instead the party chose David Sharma, who was supported by Mr Turnbull and former prime minister John Howard. Some on Twitter found the humorous side of Mr Morrison&apos;s clip, while others took offence. “Well s—t…looks like we will have a new PM in the morning,” one person responded. “The whole idea was offensive with or without the rest of the lyrics,” someone else said.